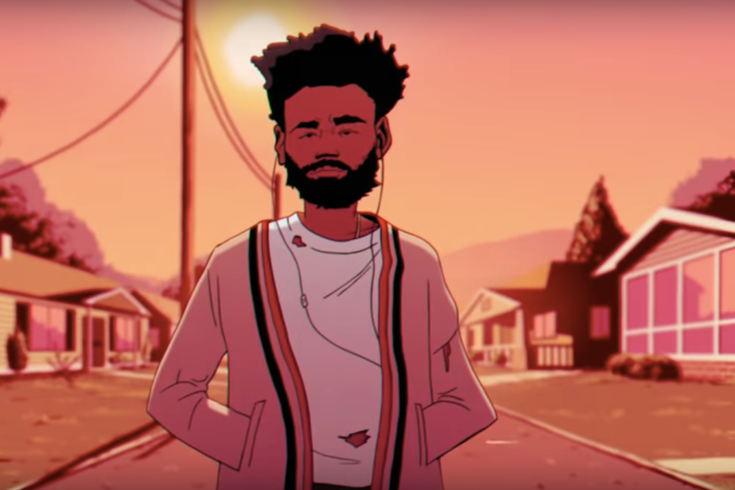 Justin Richburg's animations appeared in Childish Gambino's music video to "Feels Like Summer." Twenty-nine-year-old Justin Richburg is the Philly animator behind Childish Gambino's "Feels Like Summer" music video. And if you haven't seen it, the animated video includes 63 recognizable characters, set to Childish's two-hit album "Summer Pack." Some of the characters include Michelle Obama, Drake, a MAGA hat wearing Kanye West, Young Thug, Nicki Minaj, and Beyonce. The video, released Sept. 1, is a product of Childish's interest in Richburg for his illustration that shocked the Internet back in February of Kevin Hart, Malcolm X, Tupac, Oprah, and Rihanna playing dice. Childish, whose name is Donald Glover, used the illustration on his show "Atlanta." Here's the entire "Feels Like Summer" video. According to Billboard, Richburg began to seriously pursue design and illustration back in 2011. He sells his prints online, which you can check out here. "Because of that, I wasn’t able to go to school and my mom had to basically take care of me for the next two years after. ... I was finally able to get myself off medication and get back down to my regular weight. I guess all those things happened because I didn’t appreciate life like that and I was wasting my time. God will do things like that to wake you up. If that hadn’t happened, I wouldn’t be doing this." Childish Gambino released several singles this summer, including "This is America," which has now become the namesake of his tour that started in Atlanta this week. Glover announced this tour would be the last "Gambino" tour ever. The tour is making a stop in Philadelphia at the Wells Fargo Center on Tuesday, Sept. 18.